Sweet includes over 110 innovative recipes with stunning photos by award-winning Peden + Munk - from Blackberry and Star Anise Friands, Tahini and Halva Brownies, Persian Love Cakes, Middle Eastern Millionaire's Shortbread, and Saffron, Orange and Honey Madeleines to Flourless Chocolate Layer Cake with Coffee, Walnut and Rosewater and Cinnamon Pavlova with Praline Cream and Fresh Figs. 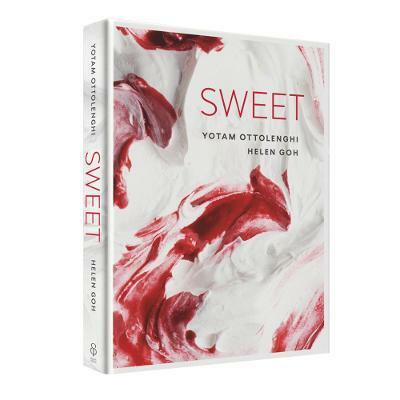 Yotam Ottolenghi (Author) Yotam Ottolenghi is a cookery writer and chef-patron of the Ottolenghi delis and NOPI and ROVI restaurants. He writes a weekly column in The Guardian's FEAST magazine and has published seven Sunday Times and New York Times bestselling cookbooks: PLENTY and PLENTY MORE (his collection of vegetarian recipes); OTTOLENGHI: THE COOKBOOK and JERUSALEM, co-authored with Sami Tamimi; NOPI: THE COOKBOOK with Ramael Scully; SWEET with Helen Goh; and OTTOLENGHI SIMPLE with Tara Wigley. Yotam has made two 'Mediterranean Feasts' series for More 4, a BBC4 documentary, 'Jerusalem on a Plate' and his hugely popular 'Simple Pleasures' podcast. ottolenghi.co.uk. @ottolenghiHelen Goh (Author) Helen was born in Malaysia but started her cooking career in Australia, where she had migrated with her family as a girl. After 7 years as head pastry chef at Donovans, a landmark Melbourne restaurant, she moved to London and soon joined Ottolenghi. She has worked closely with Yotam as the lead product developer for the past ten years. Helen draws widely on Asian, Western and Middle Eastern influences in her cooking - and of course, on her love of sweets.